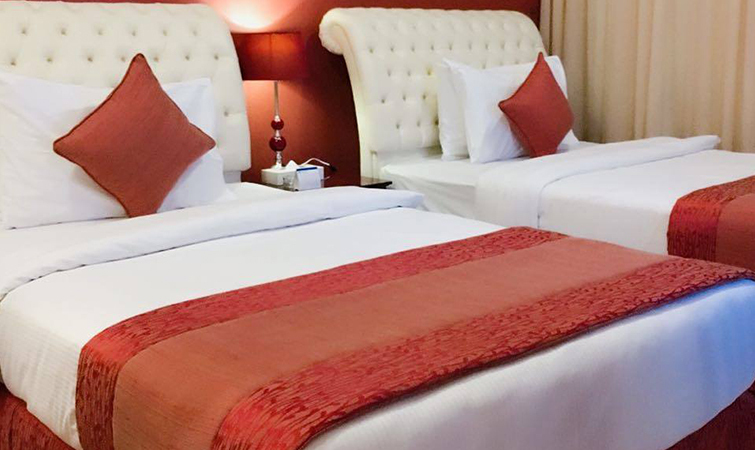 Our studios are ideal for single travellers, or business men looking for a convenient space to serve as a home base. This room has a work desk, TV, bathroom with stand up shower, and are more spacious than most in Sharjah. Connecting rooms are available on request.